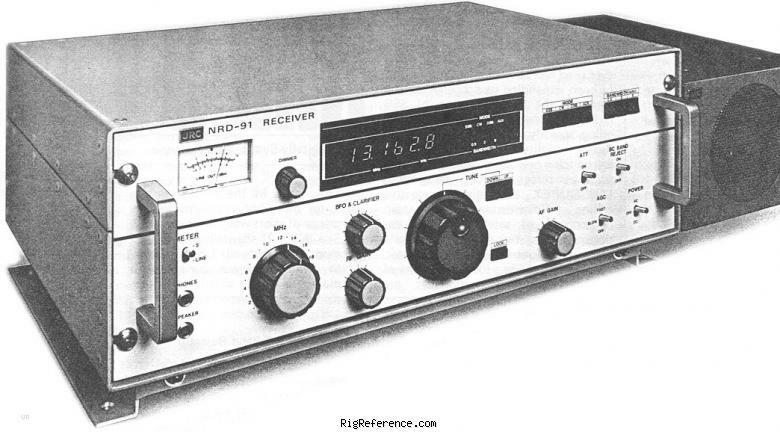 The Japan Radio Company NRD-91 is very similar to the JRC NRD-92M but has one less mode, one less bandwidth, one less digit of readout, and no Noise Blanker. The NRD-91 is designed for mounting in a standard 19 inch commercial rack. An optional MPBX10832 desktop cabinet is available (see picture). Estimating the value of a rig can be challenging. We collect prices paid by real hams over the years to help you estimate the current value of the JRC NRD-91. Just bought or sold this model? Let us know what you traded it for and help other ham operators!